Tend to stay away from shore and known to be aggressive to people. Stingers are used to stun it's prey. Swim safely. 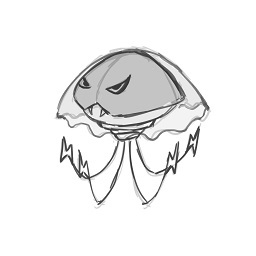 Medushock, the Jellyfish tuxemon, is a Fire-type, Water-type monster. Design by Kyu. Named by Sanglorian.